Kuldeep's 6/25 was the best bowling performance by a left-arm spinner in ODI history. England and India faced off in the first ODI at Trent Bridge, Nottingham, a ground famous for England making two world record scores in two previous matches – 444 against Pakistan in 2016 and the humongous 481 against Australia last month. India knew that they had the better bowling attack than what England had faced despite missing Jasprit Bumrah and when Virat Kohli won the toss and chose to field, he revealed that even Bhuvneshwar Kumar was missing from the playing XI due to his back injury. Siddharth Kaul was chosen to partner Umesh Yadav as the other main fast bowler. England started off quite well adding 73 runs in first 10 overs, but then Kohli brought on his trump card Kuldeep Yadav and England started seeing demons in the pitch. Kuldeep removed Roy for 38 off 35 and then Bairstow for the same runs and had Root trapped LBW for 3 runs to leave England 82/3 in 13th over. 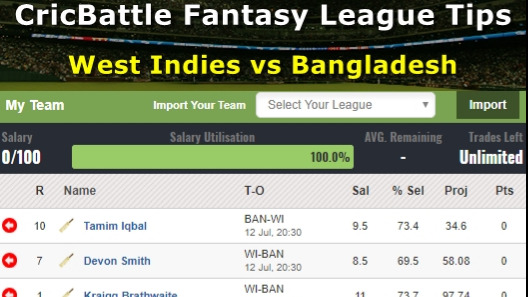 Chahal came to the party by removing Morgan for 19. But Jos Buttler (53 off 51 balls) and Ben Stokes (50 from 103 balls) labored to a 93 runs partnership for the 5th wicket. Ben Stokes looked rusty and out of touch facing the spinners. Kuldeep was brought back into the attack to finish off the partnership and he removed both Buttler and Stokes in succession to pick up his first ODI five-wicket haul. He also removed David Willey to end up with the fourth best bowling figures by any Indian bowler in ODIs -6/25. It was also the best bowling figures by a left-arm spinner and by a spinner in England and also against England. Umesh Yadav picked two wickets in Ali (24) and Rashid (22) to end the England innings at 268. England came face to face with a competitive bowling attack that was still missing two of the best fast bowlers and yet couldn’t manage to reach 300 and it was enough to bring them down to earth after the Australia ODI series. Indian openers Rohit and Dhawan took on the English bowlers and put up 59 runs in the 8th over; when Ali removed a dangerous looking Dhawan for 40 (27 balls with 8 fours). After that, it was the Rohit Sharma show, which carried on from where he had left in the third T20I and scored his 18th ODI hundred with a six off 82 balls. Virat Kohli kept him good company, tiring down the England bowlers and making them look hapless. 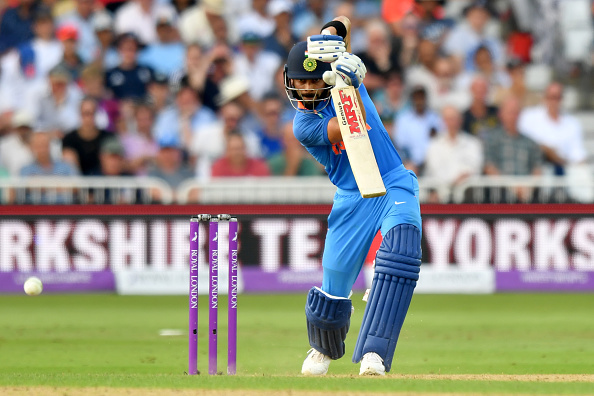 Virat Kohli was stumped for 75 off 82 balls with 7 fours by Buttler off Rashid and the record second wicket partnership of 167 was broken. Finally Rohit Sharma remained unbeaten for 137 off 114 balls with 15 fours and 4 sixes, while Rahul hit the winning runs and remained not out on 9 runs. India hammered the opposition in both the departments as Kuldeep and Rohit will continue to haunt them in the coming two matches. The second ODI between England and India will be played at Lord's on July 14.